Louisa Fleet Recruitment : Tattoo Taboo in the Workplace? 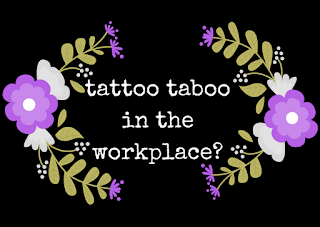 Tattoo Taboo in the Workplace? 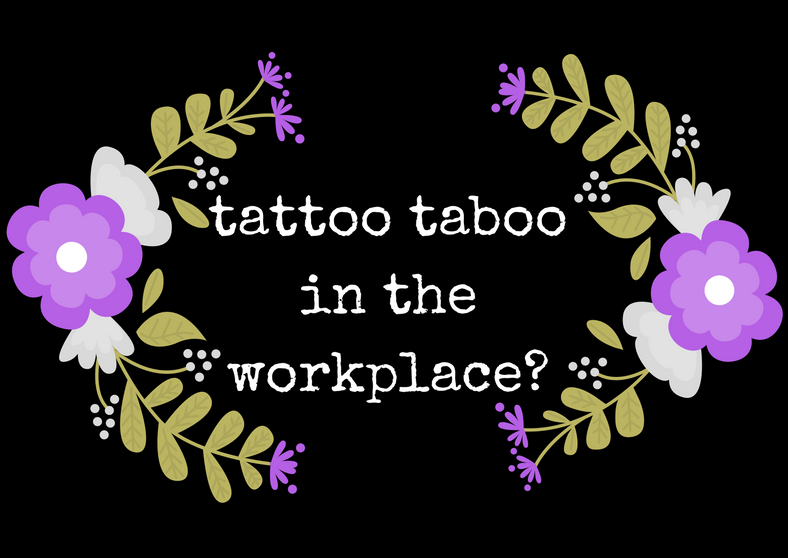 We’ve all heard of employers who have rules on tattoos in the workplace – requiring employees to cover them up so they are not visible. We’ve all heard of hiring managers who are put off of hiring new employees who have tattoos. With recent attention in the media on this subject, such as the lady who covered up her tattoo at work for 13 years, I thought it’d be good to get your opinion on this and also uncover some of the little known facts behind this taboo subject. Did you know almost 1 in 3 young people have a tattoo? This means that hiring managers could be missing out on a high number of great employees due to negative attitudes about tattoos in the workplace. There is evidence out there to show that tattoos can influence recruitment decisions – with some hiring managers thinking that their customers might not have the same respect for these employees – perhaps even thinking they are not as professional as those without visible tattoos. Customer-facing employees are representing the business so no hiring manager wants to employee someone who their customers may not respond well to. But is this all just assumed? Nobody wants a workplace full of robots who all look the same, act the same, produce the same work. I don’t know about you but I want a diverse workforce who bring different skills and attitudes to my business. Tattoos or not. I’ve been in recruitment for many years and I’ve met a lot of people. I’ve met candidates good and bad, with and without tattoos, glamorous and not so glamorous. One thing I’ve learnt is - appearance has nothing to do with ability. Yes it is important to look professional and you should dress within the guidance of your employer’s dress code policy but employers also have a responsibility to make sure their dress code doesn’t discriminate against specific groups of people. Having said all this, I would caution people to think. Stereotypes still exist about people with tattoos and in a customer facing role such as sales, my speciality, you are more likely to find that visible tattoos cause you a problem in getting certain roles. What’s more, there is no legal protection for people with tattoos being discriminated against in the workplace and companies are legally allowed to ask employees to cover up their tattoos for business reasons. For professional people who are working their way up the career ladder, tattoo removal is becoming more popular, which goes to show that the stereotypes still exist. My advice to hiring managers? Don’t miss out on some great candidates just because they have tattoos. Try to see beyond the appearance and work out from there if they could be an asset to your business. Think about how you come across to potential employers. If you have tattoos perhaps consider breaking the taboo at interview stage if appropriate. Be open and honest and also respect the company dress code. What are your thoughts on tattoos in the workplace? Either pop something in the comments below or head over to our Facebook page and comment there!